ZTE, the Chinese manufacturer, has brought a supposedly revolutionary device in the Tablet market as reported by Softpedia. 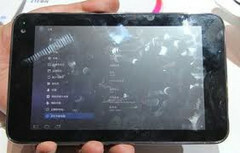 The ZTE T98 tablet PC, as they call it expected to have a double number of cores available on it as compared to today’s high end tablets. This 7inch slim tablet should have a computing power of a Desktop PC as it will be having a quad-core processor. Although there is no confirmation of the processor – it could well be the upcoming Tegra 3! This device also provides a 1280 x 800pixels of resolution on the 7inch display. It will also have 1GB of RAM and a 16 GB of internal storage. This tablet will also sport a 5-megapixel camera for taking snaps attached to its back while another camera of 2megapixel can be found to its front which is mainly for the aid of video calling. According to information update till now the device will also include 3G connectivity to it. It will run on a 4000mAh battery. The next generation tablet PCs and high end smartphones are expected to provide the quad-core application processor, which, if what Softpedia has speculated is correct, will mainly be aided by Nvidia’s Tegra 3 chip, which is a quad-core chip with each core clocked at 1.3GHz. These devices are expected to arrive in the market by 2012. The Chinese company too has not yet provided any details regarding the release of the ZTE T98. But as the specified details this device is definitely going to attract a lot of tech enthusiasts and will be definitely awaited by them.